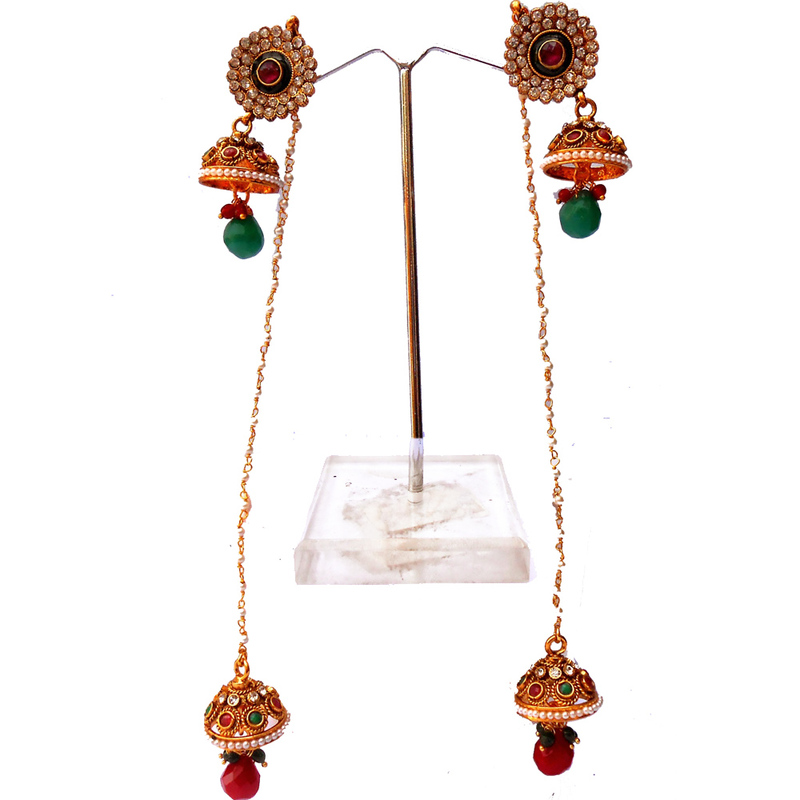 This pair of red & green hanging jhumka earrings features two jhumkas, one hanging from the stub while another hangs connected by a long gold Read More..plated brass chain interspersed with beads. Green teardrop shaped stone is present on the first jhumka while red gem of similar shape hangs from the jhumka connected by the chain. A red stone features at the center of the stub with two rows of tiny white stones encircling it give an exciting look to the earrings. Show Less..